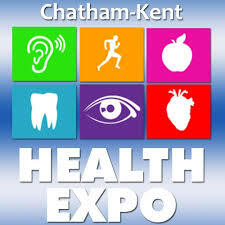 Don’t miss us this coming weekend at the Chatham Health Expo, for a chance to win 8 FREE LED LIPO BODY SCULPTING SESSIONS (valued at $712). The Secret to Our Clients Success! 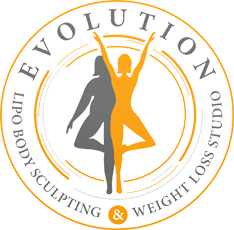 Evolution Studios is a body sculpting weight loss studio that offers a system that works together to deliver the results we promise. The key to YOUR success is up to you. Here’s why we have designed our programs the way we have. LED LIPO therapy is the number one component which is doing most of the hard work for you. This is the process where we are using the LED LIPO therapy to liquefy the fat and excrete it into the lymphatic system to be burned as energy. This therapy is used in the stubborn areas that you’ve tried to get rid of in the past but nothing worked. Whole Body Vibration training is the process in which we burn the fats that we have eliminated from the LED LIPO session. You will burn 350 calories in just 10 minutes along with some other amazing benefits such as lymphatic drainage, cellulite reduction, increased circulation and increase muscle strength. Our well balanced meal plan is designed to help ensure you are consuming the right amount of servings for each food group as well as not consuming too little or too many calories in a day for the average pounds you need to lose. This balanced plan does not eliminate food groups and is realistic long term and can be carried on as a lifestyle change. Following our meal plan will ultimately enhance any benefits and results from both LED LIPO and whole body vibration which is why it is important to follow it as closely as you can. Our coaches are also there to help with your journey, whether you have 10 pounds to lose or 100 pounds to lose our coaches are able to recognize each client’s needs and design a program that works best for them. Whatever it is meal planning, recipes, personal training programs or a high five. We love what we do and we want to be a part of your journey!!! You cannot hope for success when you skip one of the steps to that success like trying to make drive a car with no gas. It just won’t work. Remember to incorporate all the tools and steps provided and your success will follow. Only 6 more pounds to go. CALL NOW TO BOOK YOUR FIRST SESSION FREE TO SEE THE RESULTS FIRST HAND. LOSE 1-3 INCHES EVERY SESSION and BURN 350 CALORIES IN 10 MINUTES.